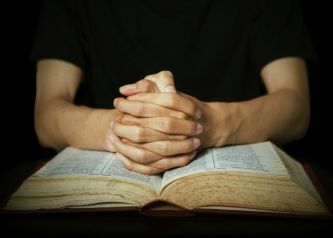 Since we are creatures of habit, we often assume that we understand the import or meaning of a passage of scripture simply because we have heard it referred to numerous times in a certain context or we have read it repeatedly without giving much consideration to the context in which it is given. 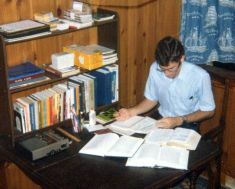 Now while we do believe that Paul’s exhortation to Timothy would of necessity require a certain level of endeavor and dedication to “rightly dividing the word of truth”, we are not at all convinced that he is exhorting Timothy to simply “study” it as one would study a scientific journal or book of facts, in order to adequately discern its content or “rightly divide it” as a whole. Usually, when we hear an exposition of this text, the emphasis that is placed upon it is to point out how a man would prove his value as a worthy workman by digging into the scriptures and spending many hours of labor therein, studiously considering their meaning and even reading and consulting the opinions of others as to what these scriptures mean. So, we are quite sure that a continual and devoted perusal of the scriptures is a habit which is becoming to the children of GOD, who desire to walk according to the truth which is found therein. We would never wish to discourage anyone, with a desire to follow CHRIST, from setting aside time to read and meditate upon these scriptures. But we are equally as sure that this exhortation which Paul gives to Timothy, is not primarily one which is given to promote that endeavor. Rather this is an exhortation which would apprise Timothy of the work of the SPIRIT in the sons of GOD, moving them to give diligence to walk in obedience to CHRIST. The word “study” which is used here is a word which literally means “to make speed towards, endeavor or desire, labor or be diligent”. It is closely related to the thought set forth in I Thessalonians 4:11; “And that ye study (i.e. ; be eager, or earnestly endeavor) to be quiet, and to do your own business, and to work with your own hands, as we commanded you.” Though the Greek word (for study) used in II Timothy 2:15 is not the same word which is used in I Thessalonians 411, the thought conveyed is very similar if not synonymous. The exhortations given in the New Testament are not set forth for the purpose of apprising the free born sons of GOD of their “duties” nor describing an avenue whereby they can gain the blessing of GOD, but rather of demonstrating to them the conduct which is expected and wrought in the saints of GOD by the action of HIM who works in them both to will and to do of HIS good pleasure. (see Phil.2:13) HE is their ever faithful GUIDE to lead them into all truth, both by holding forth CHRIST as their example and by enabling them to fulfill that which is pleasing unto HIM in word and deed. A “workman that needeth not to be ashamed” is one who is approved by GOD not because of what he does, but rather his approval manifests itself in that which GOD is pleased to do for and in him as one who is HIS ”workmanship, created in Christ Jesus unto good works, which God hath before ordained that we should walk in them.” (Eph 2:10) This verse sets forth no conditions, but rather testifies of HIS purpose in grace. The “study” or “endeavor” is the evidence of the approval rather than the cause of it. It shows or manifests the work of the SPIRIT in the child of GOD. A right dividing of the scriptures is not arrived at through “study” (as a devoted scholar) but rather by the revelation of GOD who constrains HIS people to love HIS word and gives them a proper understanding according to the measure of faith which HE is pleased to bestow upon each. Thus, they can only “rightly divide” (i.e. make a straight cut; properly dissect) the scriptures as such knowledge is bestowed upon them and they are enabled to grasp the truth of it, by the work of the SPIRIT in them. He clearly states that those who are of the truth walk in the truth and abide therein, thus they are given grace to be “right dividers” of the truth and need not the carnal understanding of men in order to stand therein. Paul goes on to show Timothy the folly of those who “received not a love of the truth” (see 2 Thes 2:10) when he mentions Hymeneaus and Philetus who embraced error and drank it up with no shame, desiring to seduce men weak in the faith and to subvert their hearers with lies and deceptions designed to overthrow the faith of some, even as Satan goes about as a roaring lion seeking whom he may devour. If we were to paraphrase this passage in 2 Timothy we might write, “Give diligence to manifest your acceptance and approval of GOD as the workmanship of CHRIST called thus to toil, (and/or suffer) who have no reason to be ashamed having been given a spiritual understanding of the truth as it is in JESUS CHRIST.” May our “study” be after this manner and then be found rightly dividing the word of GOD in the same fashion as Paul who said, “Yea doubtless, and I count all things but loss for the excellency of the knowledge of Christ Jesus my Lord: for whom I have suffered the loss of all things, and do count them but dung, that I may win Christ, And be found in him, not having mine own righteousness, which is of the law, but that which is through the faith of Christ, the righteousness which is of God by faith: That I may know him, and the power of his resurrection, and the fellowship of his sufferings, being made conformable unto his death; If by any means I might attain unto the resurrection of the dead.” (Phil 3:8-11) All other “endeavors” (i.e. ; studies) are fruitless. "It is easy to become satisfied with what we know, at the expense of honestly appraising our own attitudes and actions as the followers of CHRIST"
It is easy to become satisfied with what we know, at the expense of honestly appraising our own attitudes and actions as the followers of CHRIST. It is far simpler to defend a point of doctrine and seek out those who will corroborate our “position” than it is to humble ourselves before one another as brethren and seek to bear one another’s burdens as the disciples of HIM, “Who, being in the form of God, thought it not robbery to be equal with God: But made himself of no reputation, and took upon him the form of a servant” (Php 2:6-7) It is easier to be a teacher or an expert in doctrine than it is to be a servant. The “faith of CHRIST” cannot be learned by personal study. It cannot be taught by the best of teachers, regardless of their “gifts” and abilities. Neither can a man by any effort of his own or that which is applied by others, ever grasp it or see the fruits of it made manifest in his life in the flesh. Apart from the SPIRIT of GOD directly applying this “faith” in his very soul, a man will remain ignorant of truth, even though he may be steeped in sound doctrine. Some will tell us that we have “departed” the faith or have become libertines or antinomians because we do not embrace some form of “orthodoxy” which they deem proper on account of their “study” of the scriptures and their impeccable doctrinal understanding. We do desire to be found faithful to that ONE who has called us from darkness to light, to declare such things as we believe to be true, and to be found in great humility before HIM and those brethren which HE has called HIS own. Where we find men of like mind who have no other agenda but this “study” (i.e. ; endeavor) we are encouraged. Where we find men who are not interested in anything but the magnification of CHRIST’s glory in the earth, we have fellowship, not in doctrine but rather in the “faith of CHRIST”. 1. When is it Christians all agree, And let distinctions fall? When, nothing in themselves, they see That Christ is all in all. Let them but singly look to Christ And all are one in him. They who are strong and seldom faint, And they who scarce can speak. ’Tis his, he bought it with his blood; And therefore gives his own. We all deserve eternal death, And thus we all are even. May we be given grace to be “students” in the school of CHRIST, HIS yoke is easy, and HIS burden is light.